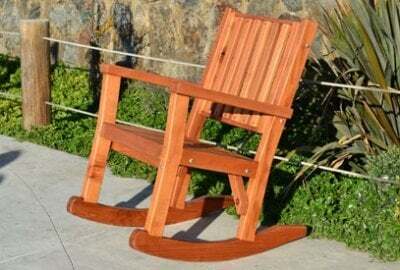 Our huge selection of beautiful Redwood Rocking Chairs is going to rock your socks off. There’s so much to choose from, and so many great styles and sizes, you are bound to find one (or many) that’s the perfect fit for you. Each chair has a classic design, and timeless thick build that guarantees you’ll have it in your family for a lifetime. You can customize each order to better fit your needs, and we’ll back up each product with our ironclad Forever Redwood warrantees. 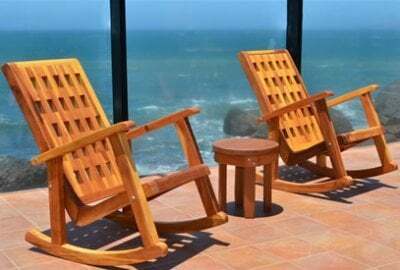 Our Ensenada Easy Chair is the most comfortable rocker we make. Built-in lower back support and easy to get in and out of easily. Initially designed for an expecting mom. 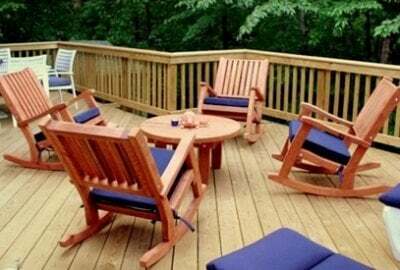 What could be more relaxing than sitting under the stars on a warm summer night in one of our comfortable Adirondack Chairs? 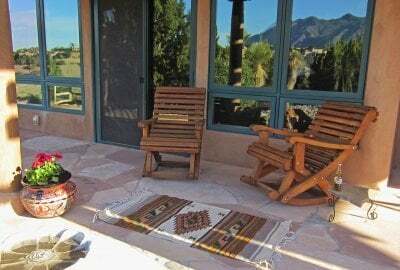 Only an Adirondack Chair that rocks! What can be better than our beautiful moon inspired Luna Chair - how about one that rocks! 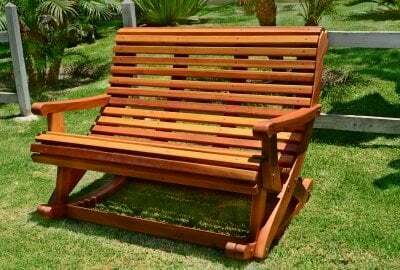 Quality crafted to last for decades whether it's indoors or out. 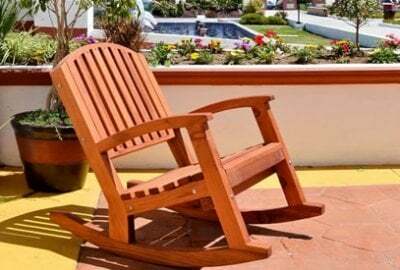 This sturdy rocking chair is solid enough for generations of kids and beautiful enough to be placed anywhere in your home. 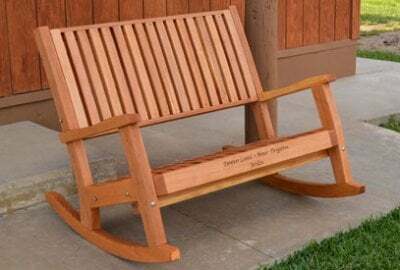 The name speaks for itself-this oversized sturdy rocking chair is solid enough for generations of enjoyment, yet beautiful enough to be placed in any area of your home. Available with an Extra Wide seat or in Deep or Tall sizes to suite every taste. 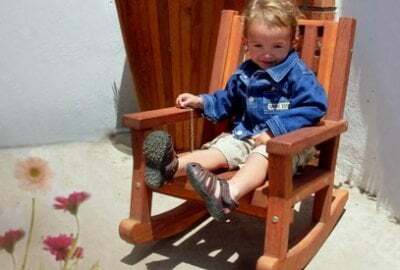 The stylish Lighthouse Rocking Chair was designed for the serious rocker. 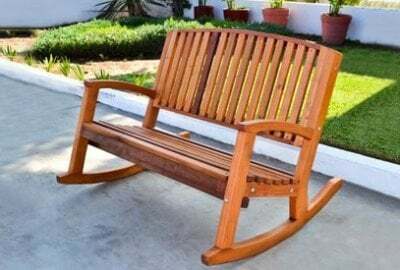 Its deep seat holds you in a cocoon of natural warm wood and reminds you to slow down, sit way back and forget the whole enchilada for a while. 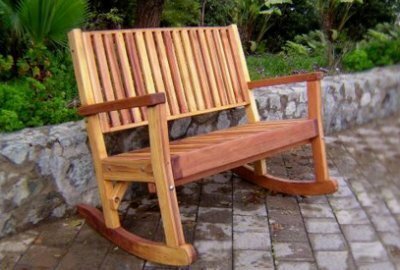 A customer thought it was a good idea to widen the popular Massive rocking bench so a friend or two could enjoy it with her... Great idea! 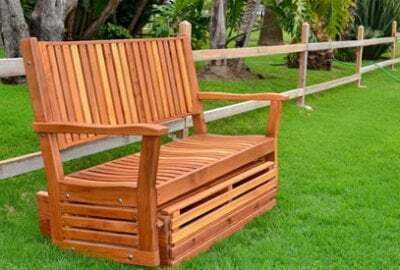 Want the look of an armchair or bench with the comfort of a glider. Look no further than the Porter Thayer Glider!